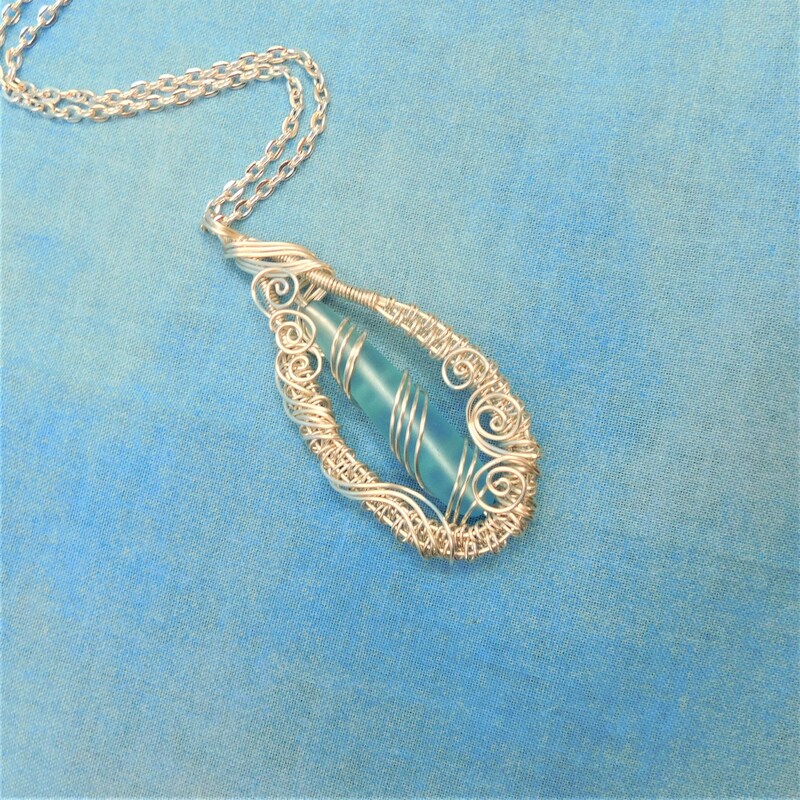 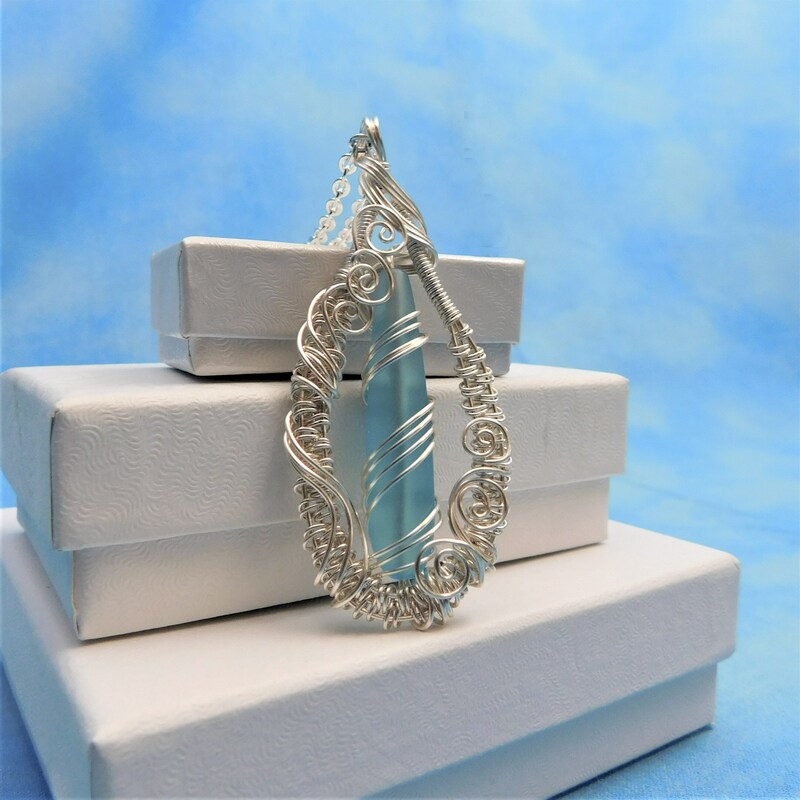 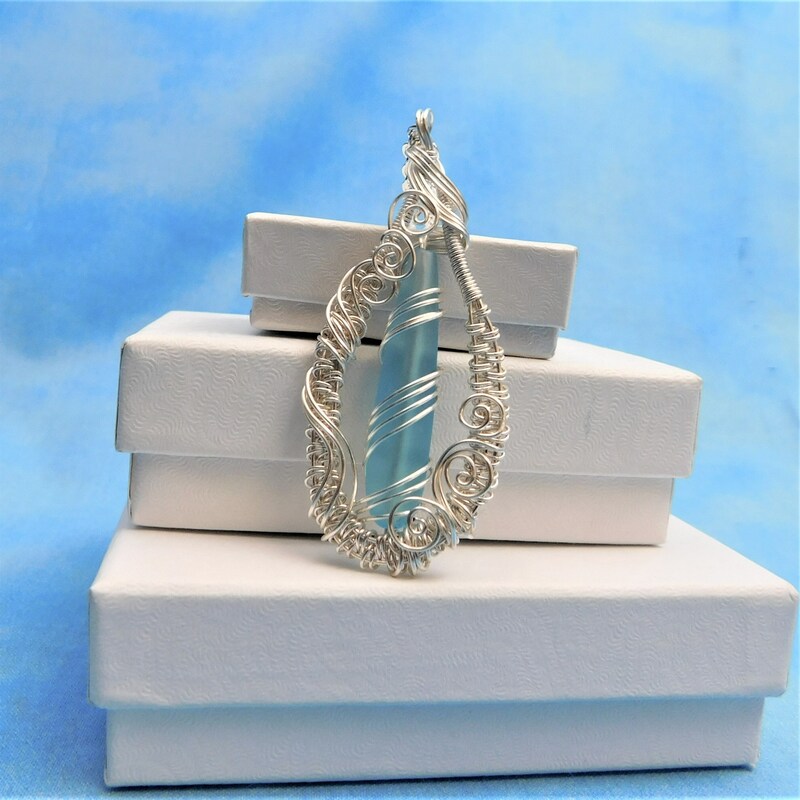 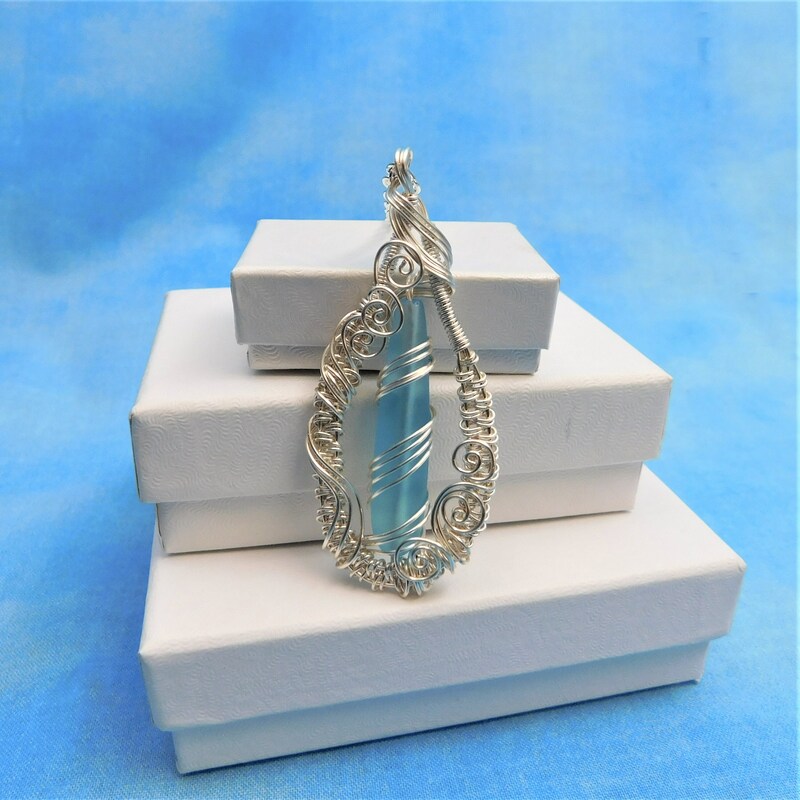 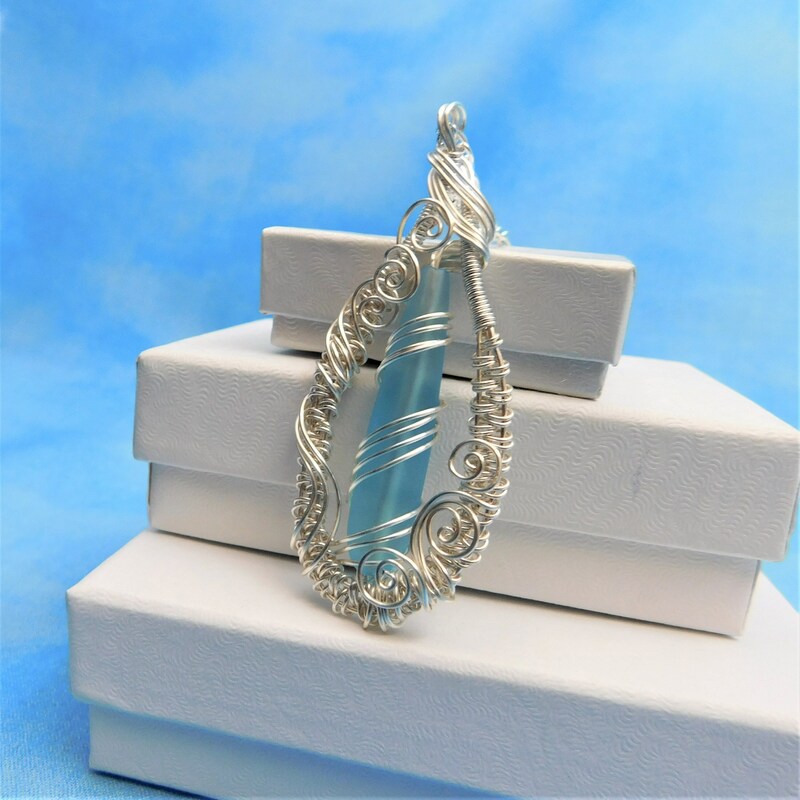 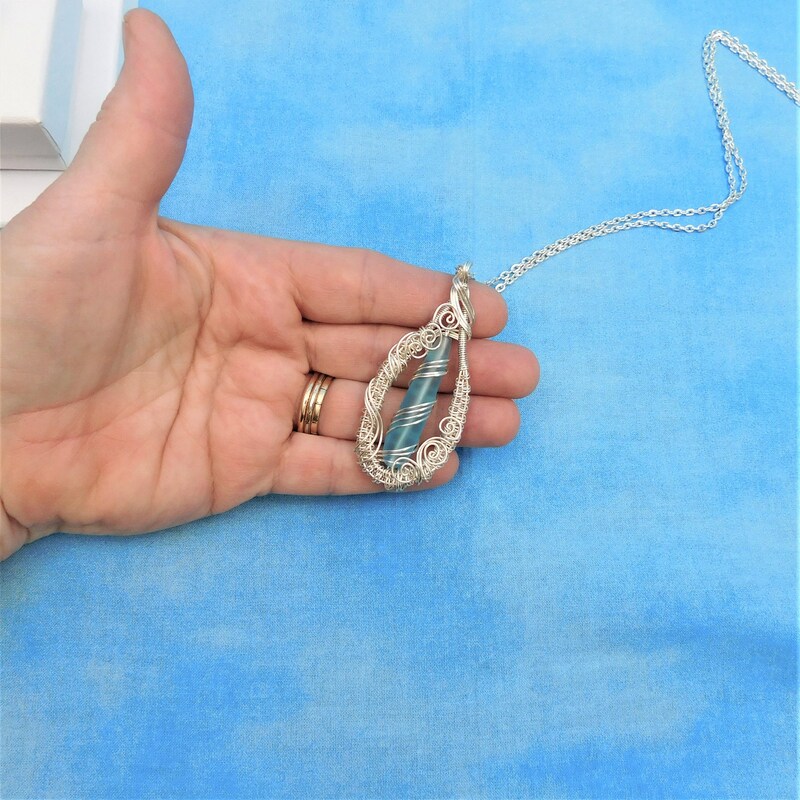 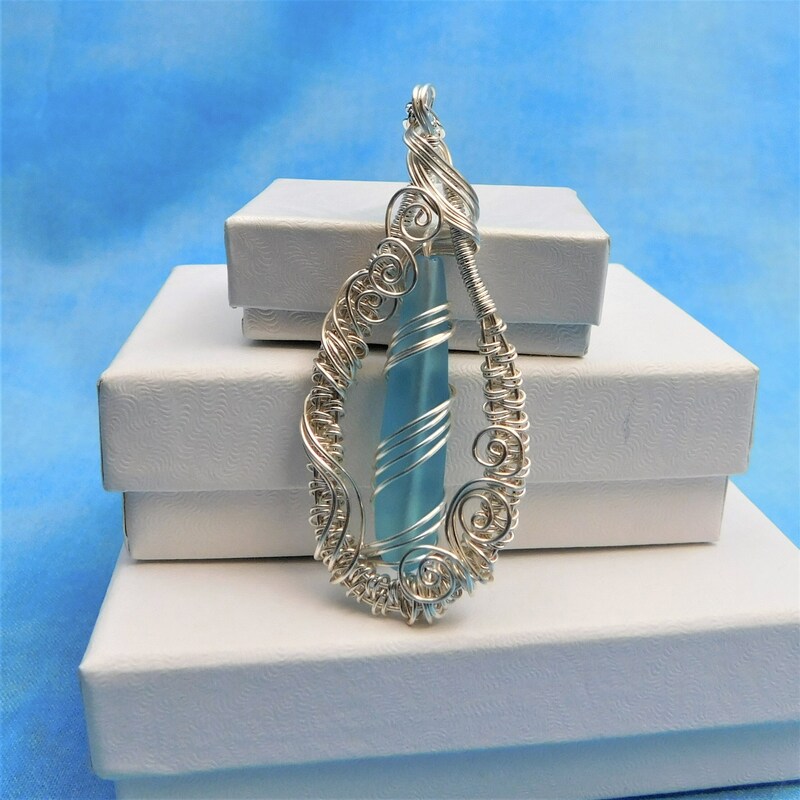 A Large, teardrop shaped sea glass focal bead, measuring 2 inches, is artistically wire wrapped and framed in hand woven fine silver over copper wire, sculpted in swirls and spirals that intertwine in a unique and interesting design. 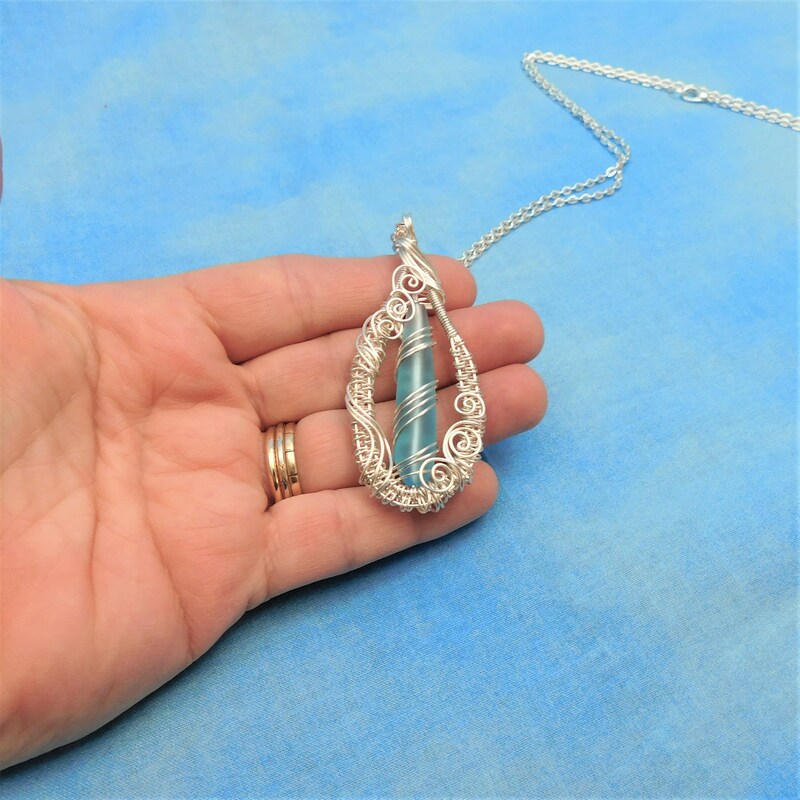 The construction of this pendant requires a little bit of engineering, in addition to the artistry. 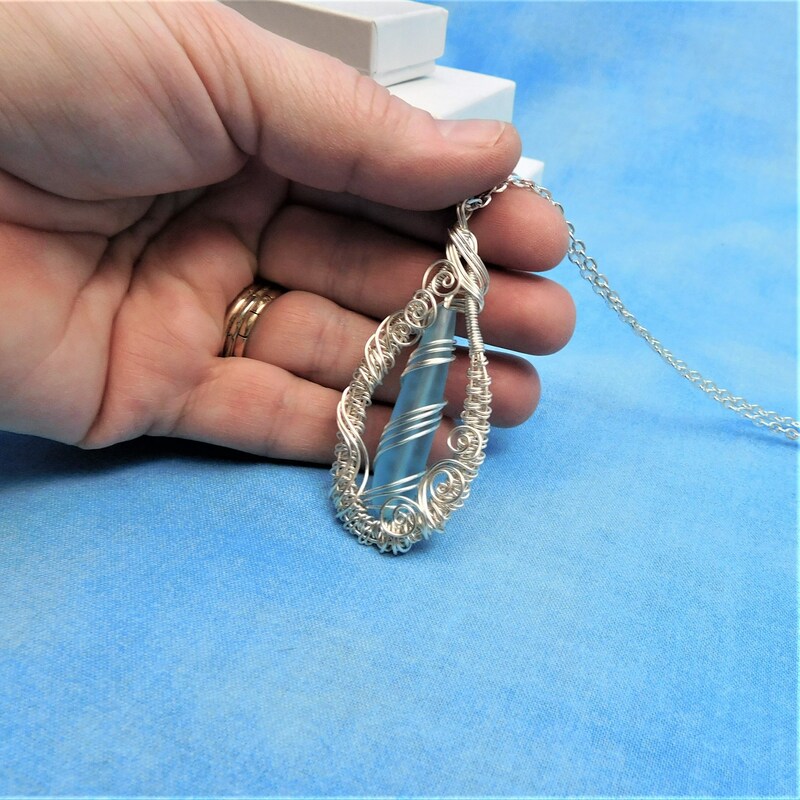 The pendant measures 2 inches by 1 1/4 inches and come with a FREE coordinating chain with lobster claw clasp, measured to your preferred length.